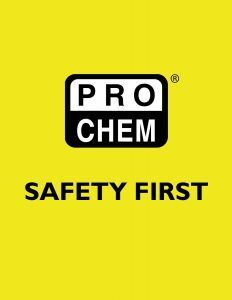 SAFETY FIRST | Pro Chem, Inc.
SAFETY FIRST begins absorbing liquid spills immediately upon contact. 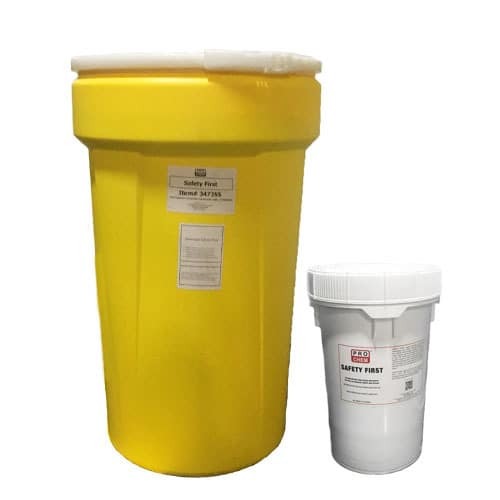 The high absorbency of this material means treated surfaces will stay drier longer. Regular use will not cause drains or sewers to clog. This natural earth product will not pollute lagoons, streams or lakes. Non-biodegradable, inert mineral in particulate form. Certified free of respirable silica. Exceeds EPA landfill disposal rules. Passes point filter and TCLP test. Absorbs up to 150% of its weight. Apply product on and around spill. Rub in with a stiff broom or shovel. Sweep up saturated product and reapply as needed to dry the floor. Remove saturated product immediately.